JDog Junk Removal and Hauling is your local junk removal team made up of Veterans, Veteran and military family members located right in Rehoboth, Delaware. 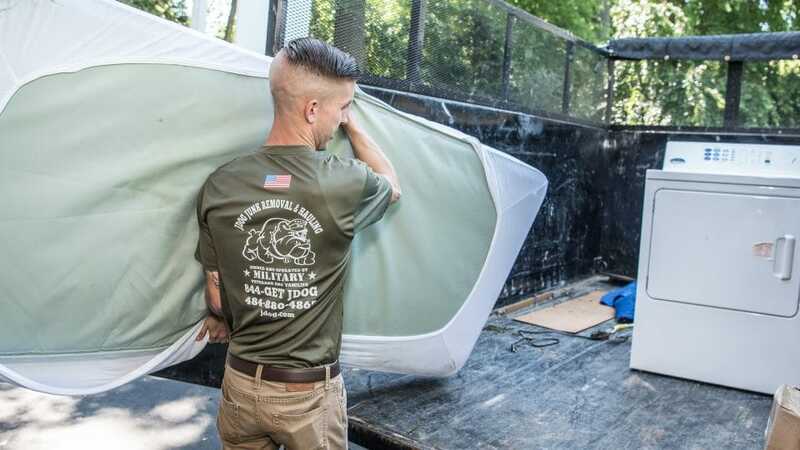 Translating the military’s values of Respect, Integrity, and Trust to how we serve you, we take on your big and small projects, like when you are getting rid of a couch, renovating your front porch, making improvements to your storefront, and clearing out the garage. To keep our beach community as beautiful and eco-friendly as possible, we donate and recycle 60% to 80% of what we haul, so we can all feel good about where your unwanted items end up. Ready to start your home or business project? Call us today at 844-GET-JDOG.